Tampa Preservation Inc. – Page 14 – TAMPA PRESERVATION, INC. Projects located anywhere within Hillsborough County can be submitted for awards consideration, but must have been originally built prior to 1959. The guidelines for the Restoration/Rehabilitation award include consideration of sensitivity to the historic integrity of the site following the Secretary of the Interior’s Standards for Historic Rehabilitation. Preference is given to projects that exemplify Tampa Bay’s cultural, historical, and architectural heritage. All winners will be honored at the annual awards ceremony and reception and are given a certificate suitable for framing. Winners in the Restoration/ Rehabilitation category are given a Banner to display on their building. 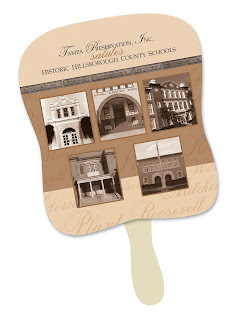 For further information call Tampa Preservation, Inc. or go to www.tampapreservation.com for details and to download an awards application. Applications are due by February 28, 2009. Tampa Preservation, Inc. participated in the Great American Teach-In this past November. Six fourth grade classes of excellent, eager-to-learn students at Forest Hills Elementary learned about Tampa’s rich history and heritage through the book If Our House Could Talk, featuring the 1914 National Register listed Leiman-Wilson House located in the Hyde Park Historic District. After reading the book and a lot of Question and Answer time, each student received their own copy of the book to keep. Mrs. Gonzalez asked that they all think about becoming preservationists, and judging from their conversations, some of them are already picking out buildings that need their help! * If Our House Could Talk is a TPI publication that young and old alike can enjoy. It makes a great Holiday gift or stocking stuffer. The book is available for purchase at Inkwood Books, the Henry B. Plant Museum Store or through TPI for larger orders.